Tekton, a trusted source for speech recognition solutions, is now offering Dragon® Medical Practice Edition 2 for Cardiology. Tekton and Dragon bring the most advanced speech-recognition technology to another important niche in the healthcare community. Tekton’s goal is to make the process of integrating a complete speech recognition solution as seamless as possible for physicians so they can achieve a more efficient and rewarding practice. 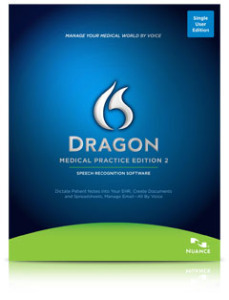 Dragon Medical Practice Edition 2 is the most advanced speech-recognition solution available for cardiologists to date. From bypass surgery to aortic valve replacement, Dragon Medical Practice Edition 2 understands the unique language of cardiology so physicians can create clinical documentation and correspondence three times faster than typing, redirect their focus back to quality patient care. Dragon Medical Practice Edition 2 also helps clinicians overcome the frustrations associated with EHR adoption by speech-enabling navigation and searches with customizable macros. Physicians can speak in their own words to document comprehensive patient notes that give them more confidence when coding, ultimately leading to higher reimbursement levels. For more information about Dragon Medical Practice Edition 2 visit www.tektonsystems.com.